Chernobyl is now a tourist destination. Tour groups escorted by Geiger counter-wielding guides can explore the ghost city of Pripyat, which has been empty since the 1986 Chernobyl disaster. However, you don’t need to fly to Ukraine to see the site of a nuclear accident (albeit, a much smaller one). All you have to do is walk the Appalachian Trail in upstate New York. Nuclear Lake in Pawling, NY was the site of a small laboratory run by the United Nuclear Corporation (UNC). The facility was built in 1958; it was privately run but licensed by the government to work with weapons-grade uranium and plutonium. It included a “Critical Building,” which housed a reactor, and a “Plutonium Building” where tests were conducted. In 1972, a chemical explosion released plutonium dust into the air, ultimately spelling the end for research at the site. With the whole area contaminated with radioactive dust, the facility closed in 1973. Inspections of UNC’s records also raised fears that the corporation was dumping radioactive waste into the lake. A 1975 cleanup effort rendered the site safe, according to federal inspectors. In 1979, the National Park Service bought Nuclear Lake and 1,100 surrounding acres for $1 million, with the intention of rerouting the Appalachian Trail through the site and away from local roads. Tests of the site in 1984 indicated only background levels of radiation. Today, Nuclear Lake doesn’t look like a mini Chernobyl. 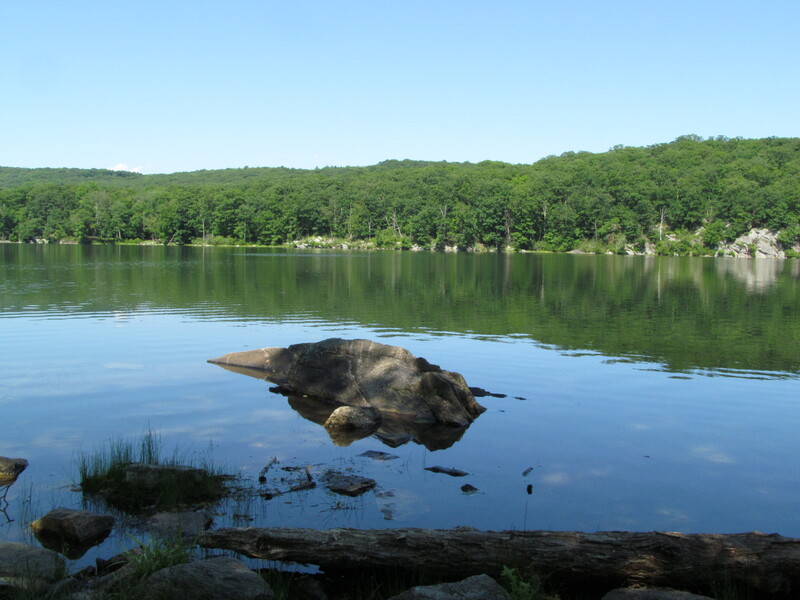 In fact, the lake is one of the most beautiful sites on the Trail in New York. I saw plenty of flora and fauna, and none of it appeared to be mutated. Urban explorers looking for an abandoned nuclear plant will be disappointed; the buildings were demolished during the 1980s trail construction. The only indication that this beauty spot was anything other than a placid lake is a small patch of concrete where the “Plutonium Building” once stood, and a clearing. 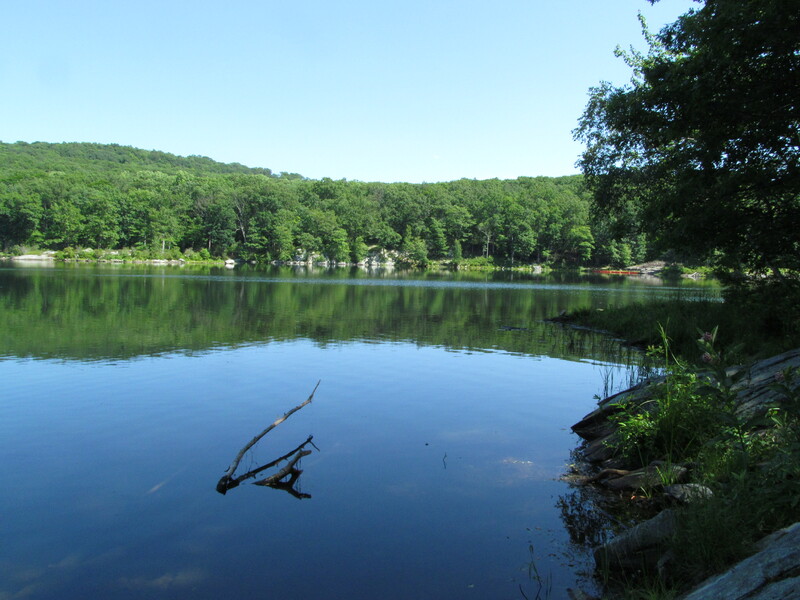 Nuclear Lake is a short roundtrip from the small parking area where the Appalachian Trail crosses Route 55 in Pawling (follow the trail from the parking lot side of the road). The undulating terrain makes for an interesting but manageable hike. Just watch out for mutants. This entry was posted on July 4, 2012, 1:51 pm and is filed under Places, Technology. You can follow any responses to this entry through RSS 2.0. You can leave a response, or trackback from your own site. I hike past Nuclear Lake several times a month. It is beautiful. You can often see eagles flying overhead. No signs of mutants or mysterious glowing. But I do not swim in or take water from the lake. Not sure I’d be in a hurry to eat a wild mushroom from the Nuclear Lake area. UMC was working with bomb-grade uranium and plutonium from 1958 to 1973. CLEANED UP IS A MISNOMER. TODAY BEEKMAN WATER CONTAINS URAINIUM RADIUM AND BARIUM . WE ARE DOWN HILL FROM THE LAKE . NO ONE WILL ADMIT THE CONTAMINATION COMES FROM THE REACTOR SPILL. HEALTH DEPT AND EPA HAS BEEN CONTACTED, NO RESPONSE. NEW RESIDENENTS ARE UNAWARE OF THE HISTORY. This blog entry about Nuclear Lake does not say or imply that any windows were blown out at Trinity Pawling School. I think you should correct your article.